Who makes the most comfortable men’s walking shoes for travel? How long do walking shoes last? Is it OK to wear the same shoes every day? Should walking shoes be tight or loose? 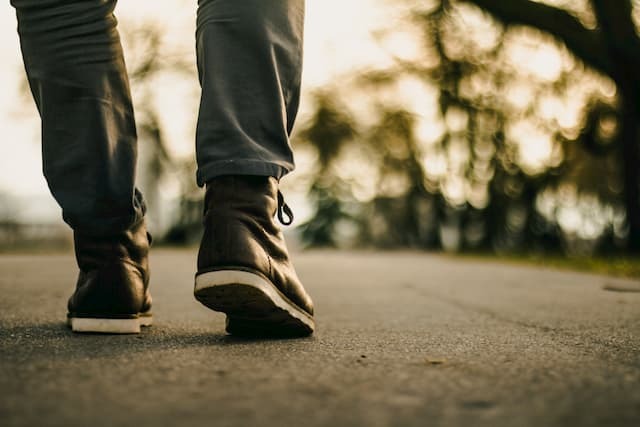 How often should you change your walking shoes? One thing that I tend to forget when planning for a trip is to get myself the most comfortable men’s walking shoes for travel. After several times experienced arching feet, blisters and painful arches, I finally noticed the importance of having the right walking shoes. Below are eight walking shoes that every man should have for travel. 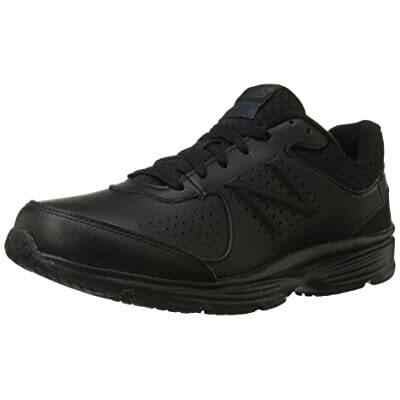 The New Balance MW411 version 2 delivers the most comfortable walking experience for users. The fabric mesh lining is seamless. Both tongue and collar are padded carefully to enhance in-shoe feel. Made of leather with perfect ventilation perforations, the shoe is extremely breathable. You can also remove the insole in case you have feet problems or find the original insole doesn’t fit. What surprises many users is the shoe’s lightweight. The drawback? It seems that the mesh top toe isn’t water-resistant. The New Balance MW411v2 with its superior comfort, quality and simplicity is certainly the most well-rounded option for you. Summer is coming near, and you are looking for a pair to walk in around the beach or pool? Sperry Top-Sider 2-eye boat shoe is just what you need. Featuring lots of technologies to deliver the most comfortable wear, Sperry continues to rank high in my favorite band. This full-grain leather shoe resists both salt and fresh water, so it is safe to use on the beach. Eyelets are rust-proof too. The signature 360° Lacing System™ allows users to customize the size as they wish. However, it doesn’t have much arch support. 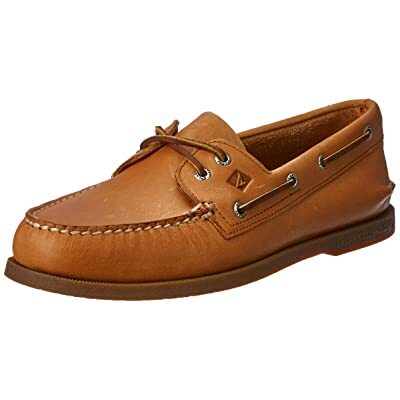 All in all, Sperry Top-Sider Men’s Authentic Original 2-Eye Boat Shoes with its excellent features are a great choice for beach lovers. The Clarks Men’s Bushacre 2 Chukka Boot has everything you need for winter travel. The rubber outsole comes with great traction and shock absorption. Leather nubuck upper offers the utmost comfortable and reasonable water-resistant capacity. The boot is also available in wide widths. The only thing I find annoying about this boot is that it is easy to get dirty. 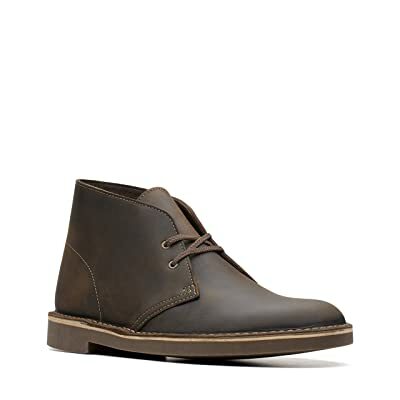 The Clarks Men’s Bushacre 2 Chukka Boot is an elegant option to consider for your upcoming winter vacation. 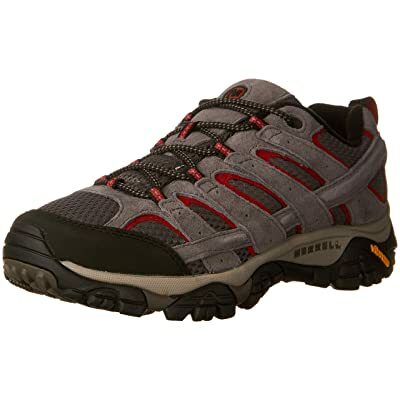 If you want to spend your next trip in nature, I would highly recommend Merrell Moab 2 Ventilator. The shoe, with its comfort and breathability, is perfect for backcountry hikes and city walks. Merrell is one of the rare shoe manufacturers who produce true-to-size shoes. One thing I love about Merrell Moab 2 is the shoe can be used right out of the box. It comes with added arch and heel support too. Compared to other items, this shoe is quite heavy. With all its excellent designs, the Merrell Moab 2 Ventilator is indeed a good catch for outdoor enthusiasts. There are a few things I love about Rockport Men’s Eureka. Its sleek and stylish design catches my attention. The extra padding in collar, tongue, and midsole provides additional stability for users. Rockport adopts San Crispino construction for heal stability. What’s more, the model comes with lightweight shock absorption. What I don’t like? This is not a water-proof shoe. 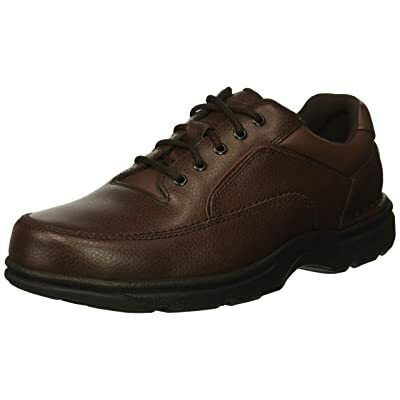 Rockport Men’s Eureka Walking Shoe is a must-have item for any business trip thanks to its flexibility and stylish design. The sole unit is a bit stiff. Brooks Addiction Walkers deliver a comfortable in-shoe experience. It stays true to size and width, with over 85% fits as expected. This shoe is not only a great choice for casual walkers but also entrusted by those who suffer from overpronators and other foot pains. The manufacturer makes sure that the shoe comes with adequate arch support and cushioning. However, some people note that the sole unit is a bit stiff. 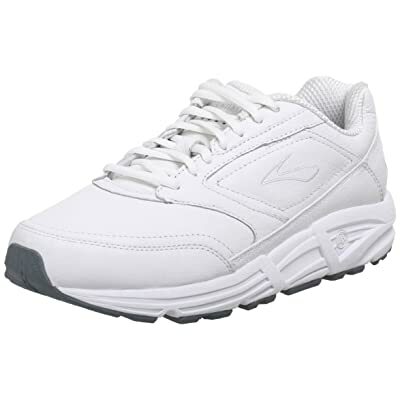 If you suffer from any foot and leg problems, the safest choice available is Brooks Men’s Addiction Walker Walking Shoes. 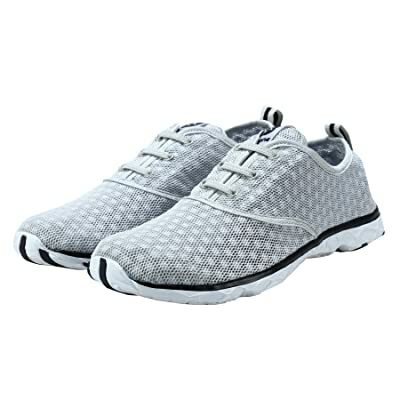 Skechers Performance Men’s Go Walk 3 offers a bunch of technologies to ensure a comfortable experience for users. The memory form fit, which comes with memory foam padding for the heel, increase the impact absorption ability. Together with GOimpulse and Goga Pillars® sensors, the shoe is more responsive and flexible than ever. The shoe weighs only 6 oz in size 9, which deserves to be the most lightweight shoe in the list. One of the most noticeable features of Dreamcity Watershoe is its lightweight construction. The mesh upper and rubber sole stay breathable even the shoe gets get. Dreamcity Watershoe is one of the shoes that ensures comfort with the sock liner, adequate cushioning, and wide toe box. The water grip outsole makes it ideal for walking in rainy destinations. However, this shoe is nowhere near good on the beach. The fabric can’t prevent your feet from burying in the sand. 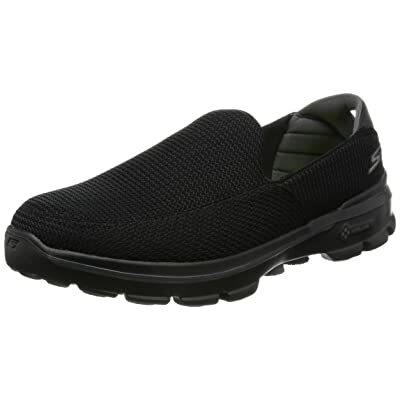 Dreamcity Men’s Water Shoes Walking Shoes, lightweight and comfortable, deserve a place in your shortlist. Traveling requires frequent and constant walking. Without a comfortable pair of walking shoes, you are likely to be attached by blisters and discomfort during your journey. Below are 7 factors to consider when buying walking shoes for travel. Should we pay a fortune for uncomfortable shoes that make you feel like wearing a board of plywood at the bottoms of your feet? Say yes if you want to turn your journey into hell. It is essential to pick up a pair with adequate cushioning. This feature determines the pressure you feel down to your soles. Before making a purchase, make sure that you have checked the inner cushioning as well. Take a closer look at the material – is it inferior foam or not? This essential step will make sure that you don’t have to experience any agony and disappointment. Just like proper cushioning, fit equals comfort. My best advice for online shopping addicts is to measure your feet to get the exact length and width, then check which size fits you. Make sure that you order the shoes long before your trip so that you can test and return them in case they don’t fit. One important note is to try your shoes later in the day since your feet tend to shrink in the morning. For those who have time to go shopping, don’t hesitate to walk around with your shoes for a while before making decisions. While shoe size is something universal, the foot and arch shape is personal. Your shape could be flat, high or normal. Understanding your foot shape will save you from unnecessary agony. Ankle and heel support is important especially when you walk on uneven surfaces. Walking shoes with strong ankle and heel support will prevent small injuries, twists or strains. It would be better if your shoes come with added shock absorption. Yes, don’t ignore the materials to construct your shoes. Leather, synthetics for the upper portion and cotton for the mesh. Make sure that you choose suitable materials to enhance the overall flexibility and comfort. When it comes to walking shoes for travel, you must prioritize the comfort over other features. Not so many shoe making companies satisfy me with their craftsmanship and the ability to deliver comfortable in-shoe experience. There are only a limited number of shoe manufacturers that I have entrusted for years. Their shoes are not only excellent in quality but also comfortable and durable. Nothing lasts forever, even your most-loved walking shoes. So how do you know if your shoes have reached their limit? Each step your takes, the cushioning and support are broken down a bit. After 500 miles, walking shoes can no longer sustain your feet for long trails. Don’t throw away your shoes because you can still use them for non-exercise purposes. How long are 500 miles? For example, if you walk 30 minutes per day, three times per week, your shoes will expire after six months. If you double the walking time and frequency, it will take up to 3 months for the shoes to last. The bad news is running shoes, and walking shoes aren’t interchangeable. This is because both types are designed differently to serve distinct purposes. Cushioning: Runners exert the ground with a powerful force that equals three times their body weight. That’s why running shoes require more cushioning than walking ones. Heel height: Most walking shoes come with a flat heel. Unlike running shoes, built-up heels are preferred since they bring more stability. Heel flare: Running shoes offer a heel flare so that runners feel more stable on the trail. Walking shoes don’t require this feature. You shouldn’t wear the same shoes every day! No, you also don’t need to change your shoes every day just for the sake of fashion. Changing shoes every day is the best way to extend their durability. Your body weight impacts the cushioning and support with every step. 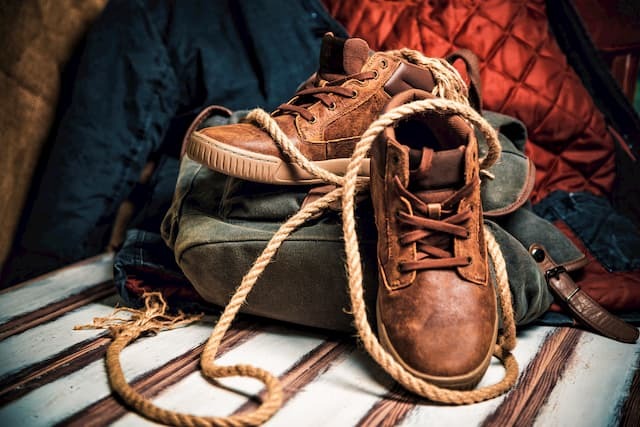 If you want to maintain the quality of your shoes as long as possible, you should buy two pairs at the same time and rotate them. When it comes to walking shoes, you should pay attention to the size. 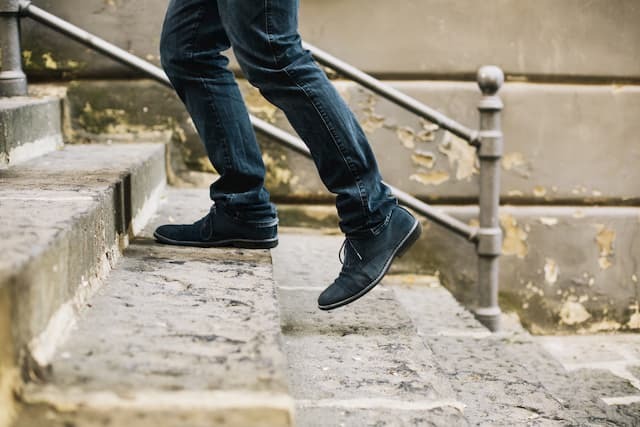 As you walk, the impact of tight or loose shoes could be huge. Tight walking shoes will end up hurting your toes and arches with blisters and pains. If your shoes are too loose, chances are your feet will slip around, making your whole journey uncomfortable. So, my advice is you shouldn’t walk around with a pair of walking shoes that is either too tight or too loose. Since it is important to rotate our walking shoes, you should have at least two pair in your shoe cabinet. This way, you can change your shoes from time to time to prevent them from wearing out too soon. So how often should you change your walking shoes? Is it necessary to change the pair every one or two days? If you don’t find that exhausting, go ahead. Otherwise, I would suggest changing shoes after one or two months. No more agony, blisters could bother you and your trip any more with these most comfortable men’s walking shoes for travel I have listed. Follow my blog for amazing tips and reliable reviews!